Very good! Btw, my room was an ordinary king, not a one bed spa appt. Rooms were very clean. Only problem was a couple of really sketchy towels which housekeeping should have noticed not to put out. Generous towel numbers, toilet tissue, ie washroom amenities were generous....no "scarcity anxiety" One major problem. NO CLOTHES STORAGE other than a few hangers. There were two deep but narrow shelves, not well suited to storing and seeing clothing, and these were both filled with bedding so I kept having to open my suitcase every time I needed something. Thanks again for another comfortable and enjoyable stay. I find your rooms comfortable and clean, the emphasis on environmental measures is excellent (and unusual - more hotels should take your lead), and your staff are welcoming, friendly and helpful. Thank you. I will definitely stay again. Perfect position for me to stay. Normally 4-5 days. Great facilities for single person who wants to go out or stay in for meals etc. Came down for a gaming convention (Pax) and was surprised to see how close the tram stop was outside. Made the entire week so easy to get around. The rooms in the hotel were a comfortable retreat after very long days. The bed was comfortable, and the room was quiet. Breakfast daily downstairs also made it easy to eat and run. Check in and out was easy, and the staff were lovely. Excellent experience, felt right at home, had a great time. Many thanks! Was recommended to you by a friend and would do the same myself. 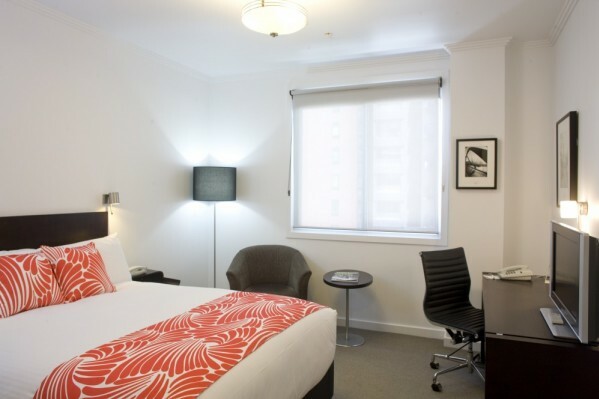 We regularly stay at the Alto, it has great access to Southern Cross railway station as well as tram stops. The hotel is well appointed and very quite. Very good hotel, excellent facilities. It isn't cheap but you get what you pay for I suppose...I would stay here again if I cone back to Melbourne. Fantastic hotel. My only observation was that the carpet on the stairs is worn and looks tatty, but this minor point aside... The staff were wonderful, the rooms lovely and our stay, whilst short, was excellent. 100% recommend to others and would stay again. Excellent except you could hear people other people The walls are too thin. We thoroughly enjoyed our stay at the Alto Hotel. We found all staff extremely helpful. The hotel was clean and very comfortable. We had a quiet room and the location was perfect. Will definitely stay there again and recommend to others. We were so impressed by the staff, cleanliness and facilities. We loved the green initiatives Alto has undertaken too, and that they're able to make these changes while still offering very reasonable rates. Ok and would stay again. Breakfast included was great and easy. Easy to get from the bus and airport. We visited with friends from America, and the hotel was perfect for our requirements. The space was compact, but everything we needed was included. One of the best things was talking to Gary before coming and explaining why we were visiting Melbourne - personable and helpful. All staff were friendly and helpful, would rccomend this hotel to other people. Smooth check in..plenty of information provided. Enjoyed some of the restaurant suggestions and appreciated the comments re their location. Breakfast excellent. your housekeeping staff are exceptional at their job....room presentation was fantastic....will definitely return as we know your staff do an excellent job. We love staying at Alto Hotel On Bourke. It is our favourite hotel in Melbourne. It is clean and quiet. We like the fact that it is not filled with noisy, children. We always recommend your establishment to our friends who are traveling to Melbourne. It has been a wonderful stay with the train station just 2-3 minutes away. Their price was affordable within the CBD area. Staffs are warm and friendly. Quiet, comfortable, cozy. We love that your hotel is Eco-friendly. Your staff was very kind, patient and helpful. We could not have picked a more ideal hotel and location to attend the International Convention of Jehovah's Witnesses at Etihad Stadium! You helped make our trip unforgettable. Thank you!!! Staff were welco ming and informative.The complimentary coffee and apples are are appreciated and great idea! Having a great place to stay for the JW International convention made the 4 days a great experience. Thank you! Ideal for me as travelling from NZ on my own & within easy walking distance from Skybus. My daughter met and stayed with me. Handy to everything. Felt very homely and welcoming and the bed was so comfortable! The staff I came into contact with were all lovely too. We found the location very convenient, the staff friendly and helpful, the rooms quiet, clean and very comfortable and the breakfasts delicious. We will return!! We had enjoyable and relaxing stay at the Alto! We will definitely be recommended to family and friends. We will also be back to stay at your hotel. Exceptionally pleasant. Really appreciated assistance provided by staff with car parking. Was fantastic. Please stay the same for when we return. Our allocated car park was taken which made check in more timely. It was a very tight squeeze once a car patk was found in the tiny spot underneath the hotelm i had to climb out tge passenger door to get out the car. We did like the room though we bity had a terrible nights sleep. Trying to operate the a/c in my drunken state seemed challenging. This meant our room was hot. This I must stress was self induced, and pureky operator error. Once i began sobering up i noticed my intoxicated error and remied the atmosphere. Was looking forward to a nice sleep in after a few drinks. In a nutshell, the place was good. Had we not over indulged in free drinks and been that pissed at the bday party, we would have slept much better. That will teach us for partying too hard because we were for once children free. If we did need to stay in town again, i would consider booking a room if it was on special. Hope this feedback brings you a small, knowing i spent ages typing this on my phone with auto correct changing every second word. I love staying at The Alto on Bourke. The staff are wonderful. They always make me feel very welcome and nothing is too much trouble for them. The food you serve is excellent , and the location is very central. Very good, friendly and helpful staff at all times.